You’d never say Dr Cynthia Bailey is in her ’60s. She looks like she’s 40-something. What does she know that we don’t? 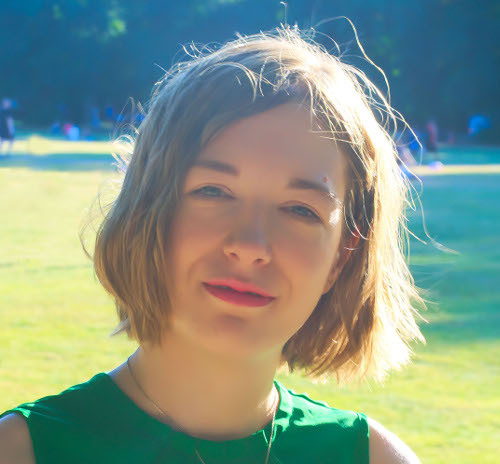 The surprising part is that she lives in sunny California and had been a sun worshipper for years before realising how bad that was for her skin. Yet, there’s no trace of sun damage on her face. That’s what good skincare and cosmetic treatments can do for you. Dr Bailey certainly knows how to make the most of them to shave years off her face… and that of her patients, customers and readers. Her credentials are impeccable, too. She’s a Board Certified California Dermatologist and Founder of DrBaileySkinCare.com, her own skincare line. 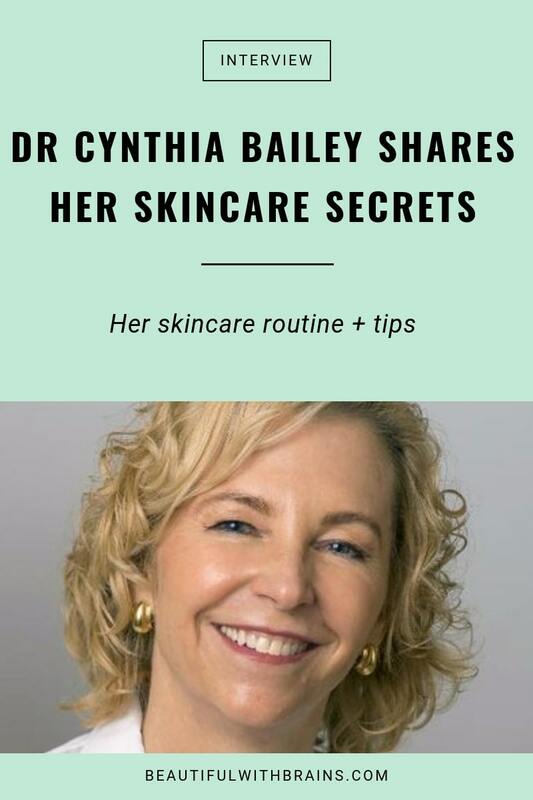 On her website, you’ll find plenty of skincare tips to get a clear, flawless complexion and be able to buy the same products Dr Bailey uses on her skin every day. When I was about 7, a friend of mine, Julie Wilgus, thought the woman on the Noxema commercial was so smart and beautiful. The commercial said to leave Noxema on your face and then rinse it off. We sat on the bathroom counter at Julies house and looked at ourselves in the mirror with the white Noxema on our faces and our hair wrapped up in a towel. We thought we looked like the commercial. When we rinsed off the Noxema, my skin was red and stung. It irritated my skin and we probably left it on way too long. I gave myself a nice irritant dermatitis and realized that skin care promised in advertisements don’t always translate to the way things work out for my skin. My skin care routine is diligent and purposeful. It’s based on the AM and PM cycle. I start with clean skin ready to maximally absorb specific actives. All my products are hypoallergenic. I first wash off my night products with my Natural Bar Soap or my pH balanced cleanser (Extremely Gentle) followed by my Rose toner. This preps get my skin ready for my next products. Every day in the morning I apply a high concentration and water based hyaluronic acid serum (Instantly Luminous) then high concentration green tea antioxidant (Green Tea Therapy) and an eye cream (Advanced Corrective). I top this antioxidant and hydration cocktail with a zinc oxide sunscreen that is a BB Cream (Suntegrity). It also hydrates and tints to act as my moisturizer and foundation. It is a sunscreen first and the other steps are nicely handled by this product so it saves me time. My priority, however, is the broad spectrum SPF. Twice a week I use an exfoliating scrub instead of cleanser to wash my face (Bamboo and Clay Thermal Scrub). Two other times a week I top my Green Tea with a vitamin C product and omit the eye cream (Professional Vitamin C Treatment Cream). If I wear makeup it is a pure mineral makeup powder. My complexion is pretty nice for a 60 year old blond Californian who tanned as a teen, so I don’t really need to soften or hid complexion flaws. At night I have started to remove my sunscreen and day products with grape seed oil and a warm cloth. This is a nice step that I’m borrowing from K-Beauty and my skin loves it. I then cleanse my skin with my gentle pH balanced cleanser and a Clarisonic. If my skin is irritated by weather or my rosacea is threatening to flare up, I apply the Green Tea followed by my Daily Face Cream (Normal to Dry) boosted with my Omega Booster Oil. If my skin is feeling tolerant I use my favorite antiaging products – either tretinoin (prescription) or retinol. Tretinoin is in a hydrating base, but if I use the retinol, I hydrate by topping it with my Daily Face Cream and Booster Oil. I’m a big glycolic acid fan, but as I have gotten older, it is harder for my rosacea to tolerate regular glycolic acid products on my face. I used them in my 30s and 40s every morning. Now, I get this great ingredient into my routine by doing a glycolic acid peel at least once a month. That’s easy, zinc oxide sunscreen, a professional green tea product and a retinoid. I have my own skin care line and I mostly use them. The products are hypoallergenic yet highly function oriented, which fits my values and priorities. I also like simple natural products, such as grape seed oil for removing oil based sunscreen or makeup. I have used pure jojoba oil as a moisturizer too. These are hypoallergenic and functional options in skin care. Brands like Hauschka and Weleda have options that are natural, non-toxic and gentle for sensitive skin and deeply hydrating too. You do have to watch for allergens in some of their products. I love Suntegrity BB Cream Sunscreen and wear it daily. I was devoted to Clinique in my teen years and many of their products are both functional and hypoallergenic. Protect your exposed skin from the sun daily with sunscreen or clothing, and seek the shade. Sun breaks down your skin structure more than time does. Just say ‘no’ to skin sun exposure. Focus on your skin from the inside out with a health veggie packed diet and regular exercise. Skip the daily junk food and empty calories, they show up on your complexion. Exercise makes your skin glow with vitality. Create a complete skin care routine with compatible products. That means tick the boxes for Cleanse, Correct, Hydrate and Protect every day. You can do that as simply or as complexly as you want. I have had a series of IPL (5) and do 2 a year on my face, neck, chest, hands and arms. This has made a huge difference for my skin. I do an ablative erbium laser face and neck treatment once or twice a year. I have a face full of Allergan injectable products and have for years – Botox on my upper face and hyaluronic acid Juvederm family of fillers on my 60 year old lower face. I appreciate Allergan’s product formulation technology and think they offer the safest of all injectables so I don’t stray into other brands. I do a glycolic acid peel on myself once a month and I like to get a facial with microdermabrasion about every 6 weeks. My 60 year old fair skin grew up in California and tanned until my mid-20s. This sun damage would love to show up in my complexion as dull, wrinkled and spotty old lady skin. It takes effort to resist that. I have always exercised regularly, for both my physical and mental health. I get at least 150 minutes of cardio each week (brisk walk and lap swim at this age, but I did more intense cardio when I was young). I do yoga and Pilates every week too. I spend time outdoors for the serenity and recharge it gives me. Since undergoing treatment for BRCA breast cancer, I also occasionally take an afternoon nap with my dog. I make it a priority to get a good 8 hours of sleep too. At 60, if I fall off this full wellness routine, my complexion starts to look as depleted as I feel. Not much! I wear blinc mascara (I love their acrylate-based tubular technology. Any other mascara smears under my eyes the minute I put it on). I use my pure mineral makeup powders for eye shadows and blush. I line and fill in my lips with Hauschka lip liner, and top that with one of the shimmery Suntegrity CPR SPF lipsticks. Occasionally I apply my Baked Mineral Powder over my Suntegrity BB Cream SPF if I’m filming or will be in photos and want to have a more matte appearance to my skin. You can buy Dr Cynthia Bailey Skincare or just read her advice on her website, or catch up with her on Instagram, Twitter and Youtube.